We know commercial drone flight training. Let us share our knowledge and real world experience with you. Quadrocopter offers a series of training packages to meet your needs. We offer custom training packages tailored to you and your situation. The Quadrocopter team offers flight training courses to help ensure that you are comfortable and confident with your multi-rotor platform. The ALTA familiarization training is a concentrated, hands-on two-day course focusing on the new business norm for elite aerial cinematographers. We will take an in-depth look at all the unique features of the ALTA and how they correlate to real world environments. With thousands of flights on the ALTA/Synapse flight controller, we pass along tips to help you get your ALTA up in the air, and back down, in a safe and efficient manner. In our training, you are our main focus. We will spend time on answering questions that are a challenge to the industry. From emergency procedures and dealing with weather to any specific areas you want to focus on, we do just that. With over 71 combined years of fixed wing & multi-rotor experience, our Part 107 certified pilots have flown in the Bahamas, Belize, Bermuda, Botswana, Canada, Grand Cayman Islands, Hungary, Mexico, United Kingdom, throughout the United States, and many more location around the globe. Learn what it takes to safely operate a DJI aircraft and keep up with all the necessary updates. In the DJI training course we will go over everything the pilot needs to fly proficiently and safely. This can be a 1 or 2 day class depending on your needs. Like most of our training classes, we will tailor this to your needs. Whether you want to have more hands on time than class time, or perhaps you want to learn how to fly autonomous missions. What would you hope to take away from a training? Working directly with our trainers, we will tailor the class specifically to your needs. Sometimes flying the drone can be the easy part with DJI aircraft. Scheduling your maintenance and updates are part of the learning curve. For commercial operators the real struggle comes when it is time to collect and deal with the data. Maybe you are looking to track progress or assets at a construction site, monitor crop health, or create 2D or 3D models of a project. If this sounds like you, a more in depth class may be the right fit. There is plenty to learn about post-processing images, keeping high levels of accuracy, and learning how to deal with the massive amounts of content you will collect. We have ASPRS certified mapping scientists on staff to help teach you. By combining our real world experience paired with your passion to learn, we put you in a position to succeed. 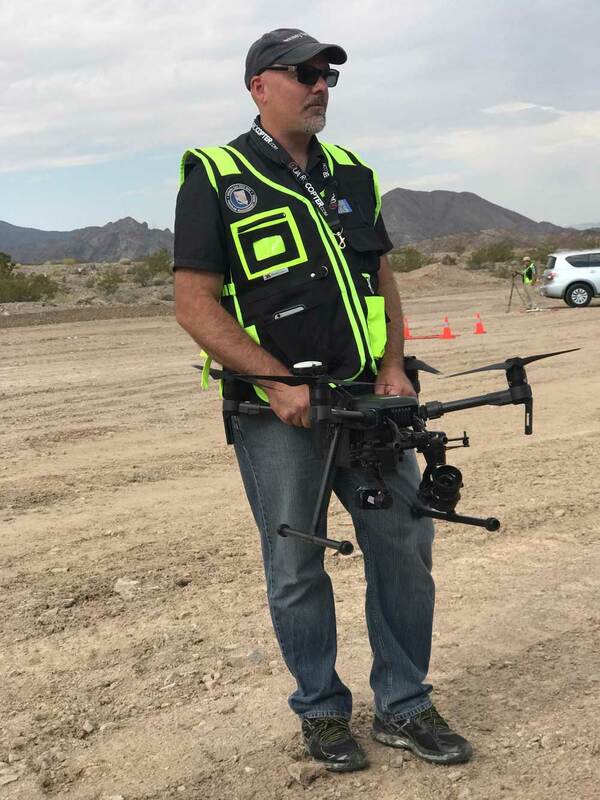 Learning how to fly a drone and operate it safely is top priority for new pilots. From day one to day one thousand, there is still learning to be done to maximize your drones potential. Call us 406-897-1027 to find out which training best fits your needs. Thank you for the excellent customer service. The assistance with choosing the right UAV and payload as well as the flight training and the technical support since our purchase have been fabulous. Your staff is knowledgeable and helpful in every way. Kind regards, Mary and Rich D.
Ok the flying was awesome! But I enjoyed hearing about experiences and safety tips and overall operations of the ALTA. There were many things I could list that were so helpful. But at the end of the day my confidence is at a much higher level… Watching your team setup in the field and plan the shot was great. I’m looking forward to the next class y’all have. We have been completely satisfied with his service from the training sessions to the above and beyond support that Chuck and the team have provided. I’m happy to recommend the services of Charles Devaney and Quadrocopter.